A significant role of leaders is to make improvements to the areas in which they lead. The leadership style used to do this and the approach taken is a matter that is heavily debated, but essentially it is an expectation that those who lead will provide a vision to shape and drive healthcare, education and political agendas of the future. The literature tells us that leaders have a responsibility to find the right way to guide, motivate and inspire others, and to ensure that they have successors who will take on the leadership mantle in a flexible and creative way. This collection of essays uses the context of healthcare, education and politics to examine and review ideas of leadership and perceptions of what leadership should be. 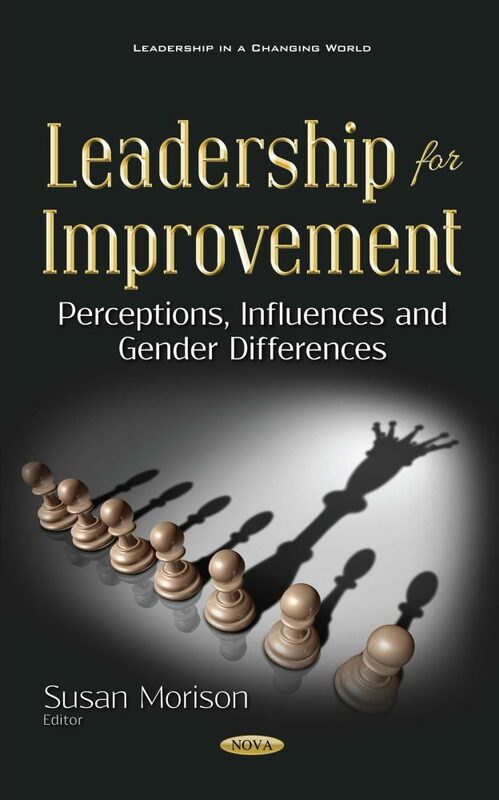 The authors examine a range of influences on leadership style like gender differences and how these may be addressed. In healthcare, transformational leadership has been identified as essential to improve patient care and safety as well as the health service itself and to contribute to driving change in a positive and supportive way. Conversely, ineffective and disengaged leadership has been responsible for failures, including failures to meet and improve standards of care and safety. In other areas, although strong leadership is seen as key to implementing and managing the myriad of changes demanded in the current economic climate, poor leadership is often held responsible when things fail. It is in the context of this complex environment and the need to drive change for improvement that the chapters in this book examine some key facets of leadership. Along with discussing practical examples of leadership initiatives, the authors in this collection have reviewed and reflected on a wide range of leadership literature. Each chapter addresses elements of these challenges, and together they seek to map out not only the challenges facing those who wish to understand better the role and action of leaders, but also to develop a sense of what good leadership entails. The collection begins with a focus on healthcare (Chapters One through Seven); these chapters explore ways in which leadership is used to influence improvement and drive change. The healthcare chapters discuss how leadership has been used to develop global and European-wide approaches to improve medical care. They examine the role of leadership in shaping future healthcare professionals and the professions themselves. The role of leadership in encouraging collaborative approaches and multidisciplinarity as well as the influences of gender differences are all considered. Two of the healthcare chapters (Chapters Six and Seven) respectively outline a leadership programme for nursing students and reflect on an initiative to address gender inequalities in academia. The remaining chapters (Chapters Eight through Eleven) move beyond the healthcare arena and explore the influence of wisdom on leadership practices in higher education, how military values and experiences might influence leadership approaches more widely, and how perceptions of gender can influence and limit leadership potential and the leadership role itself. Negative behaviours and their impact on leadership decisions are also discussed.